MATER: Glad to be here. Wow, the Falcon Hawks! FALCON HAWKS: Looking good! Why, thank you, buddy. 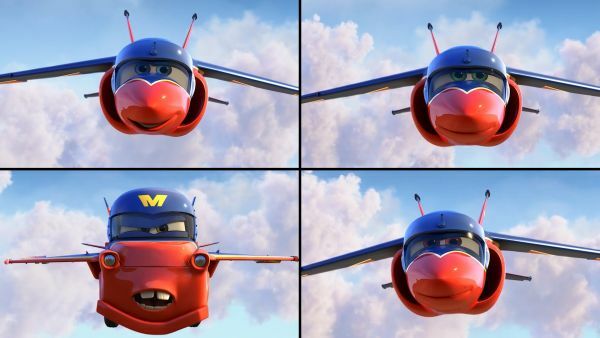 Coming to the air show tomorrow? Yes, sirree. 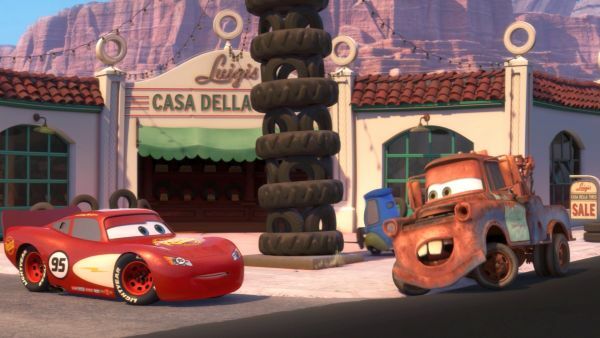 MATER: Well, that's just flat-out awesome. Hey! 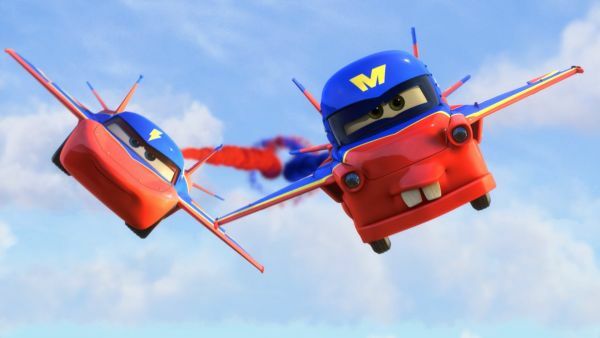 SKIPPER'S FLIGHT SCHOOL "We can teach anyone how to fly. GUARANTEED" Well, shoot! I'm anyone. Excuse me. Excuse me! SKIPPER: What? 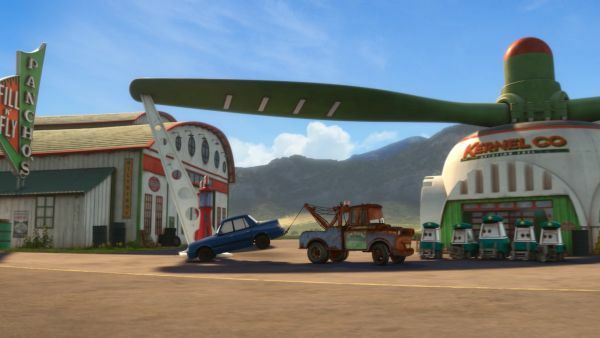 MATER: Is the Skipper here? SKIPPER: I'm Skipper. 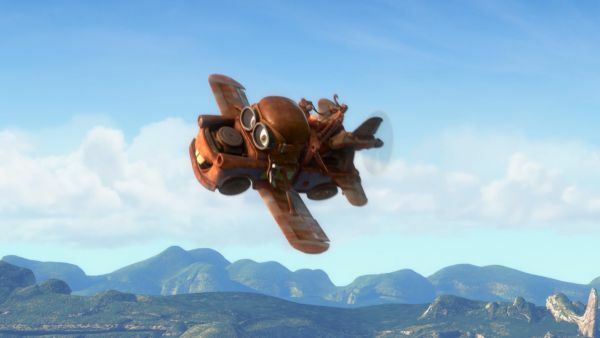 MATER: Can you learn me how to fly? 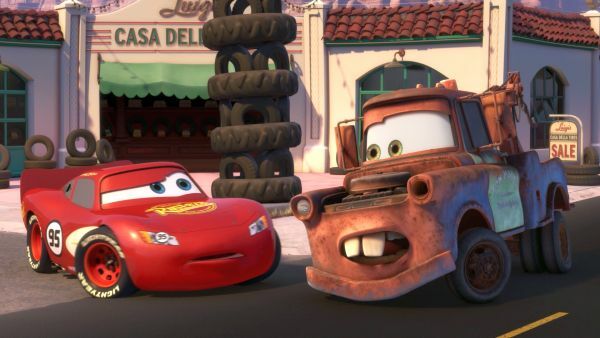 MATER: Clear! Get up to speed. Get up to speed. Wings are for lift. Give it throttle. Steer with the rudder. Boy, this is hard! SKIPPER: Pull up! Pull up! Better change that sign. SPARKY: Sure thing, Skipper. 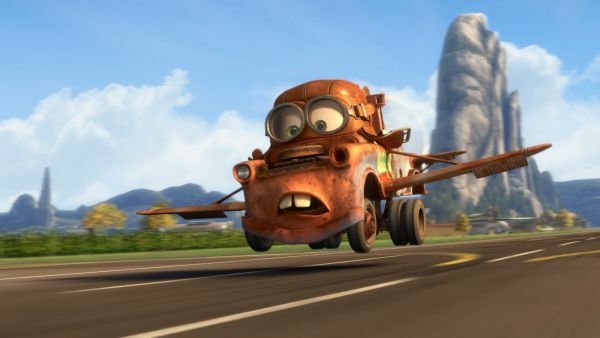 MATER: Steady. Steady. Look at me! 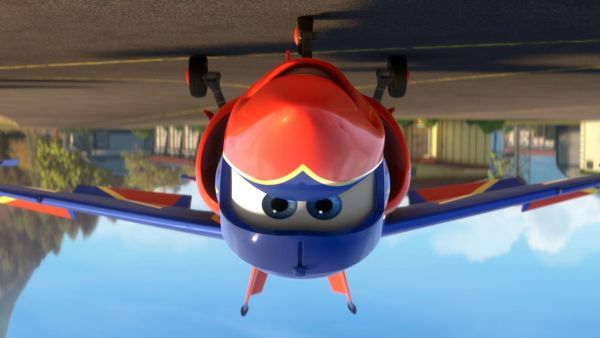 I'm flying backwards! 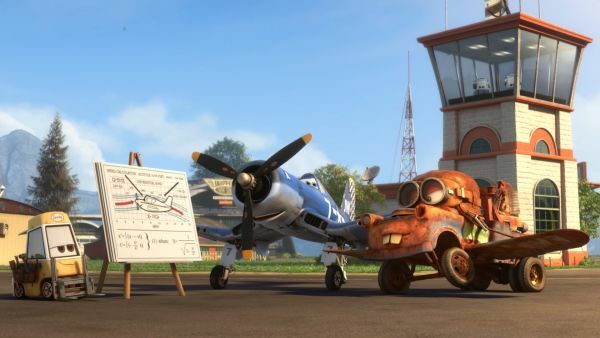 SKIPPER: I really can teach anyone. Hey! Put that sign back! BLUE HAWK: Okay, all Falcon Hawks check in. Green Hawk? GREEN HAWK: Check. BLUE HAWK: Red Hawk? RED HAWK: Check. BLUE HAWK: Black Hawk? BLACK HAWK: I'm down. I sprained my wing on that last manoeuvre. BLUE HAWK: But we got the big air show tomorrow. GREEN HAWK: We're gonna have to find another plane! 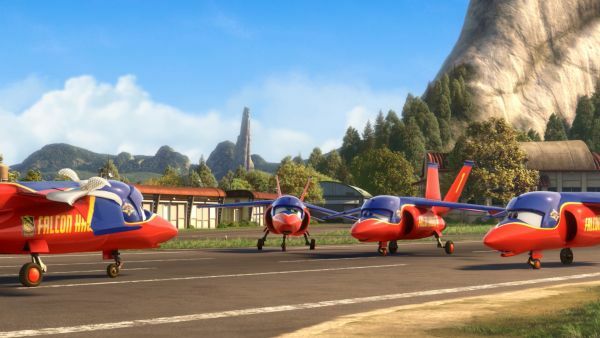 RED HAWK: Where are we gonna find a stunt plane by tomorrow? BLUE HAWK: Backwards flying ! RED HAWK: Never seen that before! 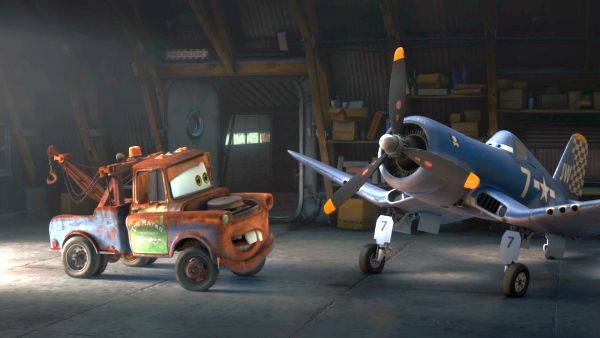 MATER: How do you land this plane? Got it! Lost it! Got it. Lost it. GREEN HAWK: Hooo-doggy! BLUE HAWK: How would you like to be a Falcon Hawk? Whoa, what did you do? 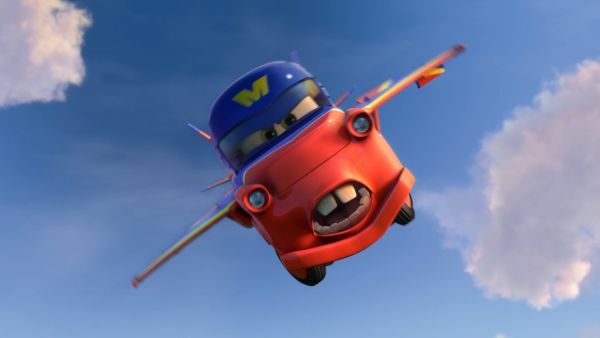 You remember, Lightning McQueen Hawk!